I stared out the windows as the plane took a descent few minutes before we hit the runway of Changi Airport. The bleak and overcast afternoon sky did not dampen my spirit as the familiar sight of this metropolis came to view -- Singapore is still breathing with a lot of trees and skyscrapers. I was on this all-expense paid trip for the Skyscanner Bloscars 2014 Travel Awards in Singapore, a trip that was made possible by Skyscanner. 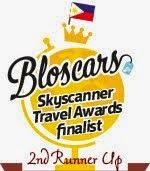 Just a background, Backpacking Pilipinas won second place in the Philippine Skyscanner 2014 Bloscars Travel Awards. And quite unexpectedly, along with the runner up title came the prize for a free trip to Singapore. What a surprise! My travel companions for the two-day trip were fellow travel bloggers and Skyscanner winners - Allan of Lantaw (country winner), Carla the Blissfulguro and Mica the Senyorita. I'm glad to have represented our country together with this crowd of inspiring bloggers! We made our way out of the airport. The rain was pounding heavily as we ventured deeper into the heart of Singapore, passing by some landmarks like Marina Bay Sands and Singapore Flyer. Harold, our gracious host from Skyscanner, mentioned that it hasn't rained there for weeks, but for some reason that day, the rain had no intention of letting up. And I only had 48 hours to make the most of the stay. 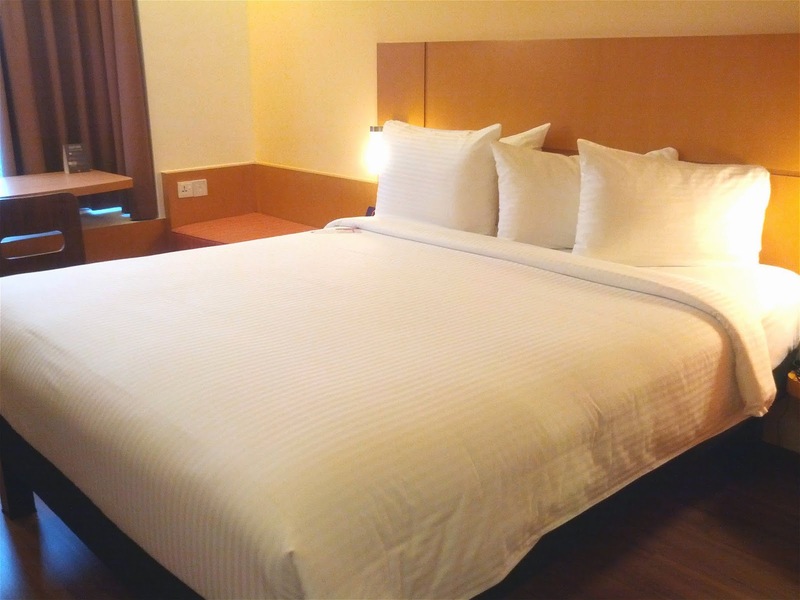 After we were dropped off at our respective hotels (Mica and I stayed at the same hotel), I thought it would be nice to just laze on my comfortable bed at Ibis Bencoolen Hotel and relax, and put off exploring Singapore for the next day. I had everything in my room to keep me company for a couple of hours -- free wifi, a handy phone with unlimited international long distance call and 3g network, sweet macaroons and a cup of coffee. Afternoon delight, it was. Night breezed through quickly in this busy city. For dinner, Harold brought us four to one of the best seafood restaurants at the vibrant Clarke Quay Central. Jumbo Seafood Restaurant is located along Singapore River and a short walk from Clarke Quay MRT station and Boat Quay. The place was packed with diners when we arrived, but we didn't have to wait for long before we were ushered to out seats. I was prepared to dig on some seafood loving, but didn't expect the generous and flavorful serving of chili crab, crispy fried baby squid, black pepper crab, fried prawns and yang chow fried rice. My mouth exploded with a variety of flavors and I loved every single food we had on our table! Since the night was still young and we wanted to cool down a bit after the delightfully dizzying seafood dinner, we stopped by at a nearby coffee shop. When travel bloggers sit on one table, expect that talks about travels and blogging could drag on for extended hours. We hardly noticed it was already close midnight when we called it a day. Thanks to Carla for the treat! Second day was about getting to know Singapore a little bit more and meeting fellow travel bloggers and Skyscanner winners from Indonesia, Singapore, Thailand, Korea and Australia. First on the agenda was a sight-seeing tour aboard the FunVee open deck bus. These hop on hop off buses are a regular sight on the main roads of Singapore, picking up tourists at some designated stops around the city. 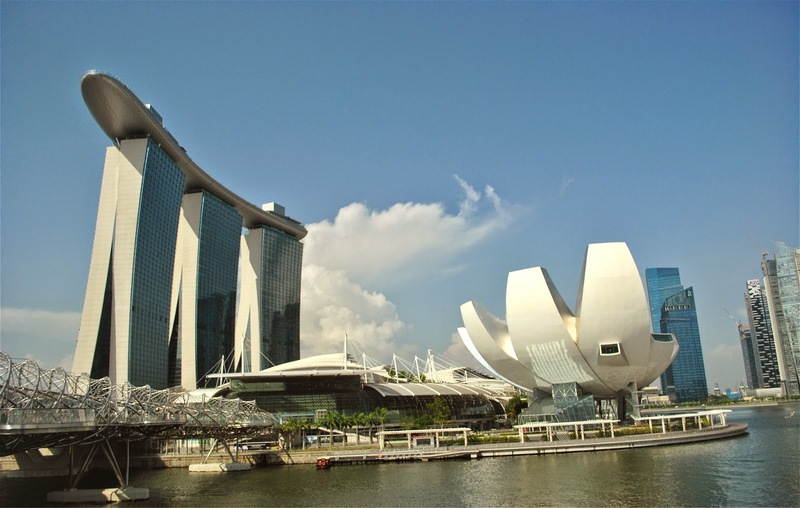 Under the warm midday sun, we had an alfresco tour passing by some of the notable attractions in Singapore like Chinatown, Merlion Park, Sri Mariamman Temple, Buddha Tooth Relic, Clarke Quay, Singapore River Cruise, Botanic Gardens, Orchard Road, Little India and Arab Street, among others. Seeing Singapore from the vantage point of that speeding bus, I was awed at how modern skyscrapers stand alongside well-preserved and old buildings and make a thriving industry out of it. I also like how the art deco was integrated in most of the buildings making the city landscape of Singapore even more interesting. While touring around, I couldn't help but wonder if it would be possible to have something like FunVee parading the busy streets of Manila to help promote tourism. There'l surely be setbacks like traffic congestion and pollution, but I think it would be nice. The group headed to the Merlion Park for a quick photo-op after the bus tour. I didn't miss the opportunity snapping a selfie from the iconic landmark, something that I was deprived of when I went there in 2012. Although a sunset cruise would have been nice, I'm still glad that the River Cruise was included in the itinerary. 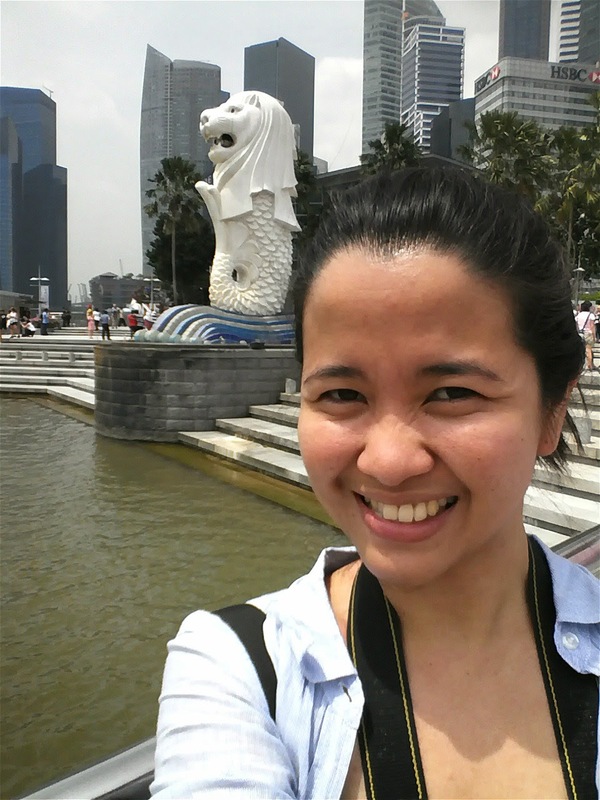 We boarded an iconic bumboat docked near Merlion Park and sailed through to Clarke Quay. As the boat wades along the historic Singapore River, a video was played which showed a sneak peek and timeline of the spots we passed by near the river bank. Efficient and educational, that was our tour around Singapore was about. After the river cruise, we were treated for a sumptuous buffet lunch at The Square Restaurant in Novotel Clarke Quay. 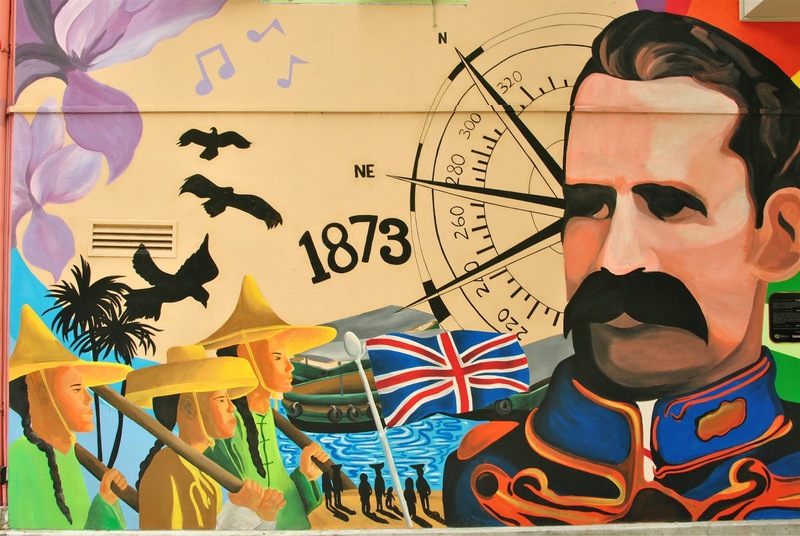 Since I had very limited time during my stay, I thought it would be best to explore the other areas of the city. Singapore-based Rose and Joseph, the blogger duo for the award winning Travel and Beyond, urged me to visit Chinatown to score for some interesting photos. 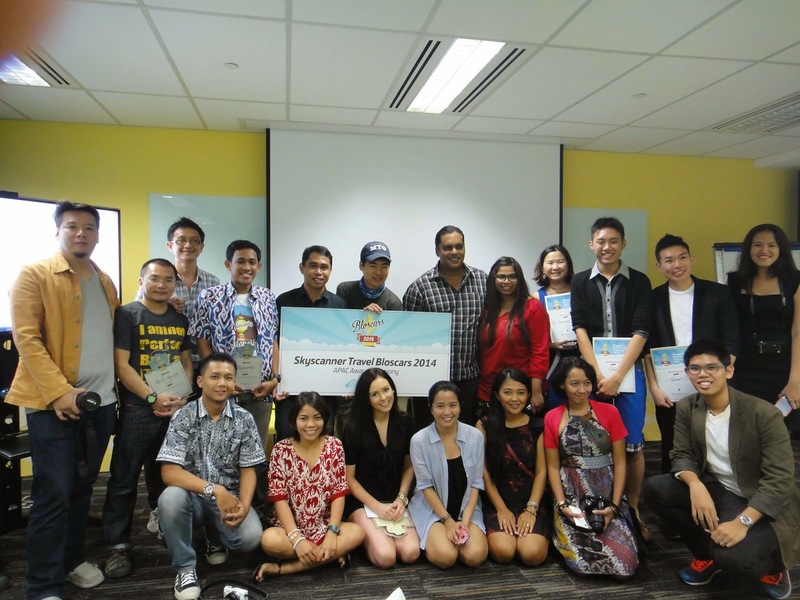 Coming from our hurried trip in Chinatown, we stepped in at the Skyscanner office a little before the awarding ceremony for the Skyscanner Bloscars 2014. All the contingents from Asia and the Pacific were gathered in the hall awaiting for the awarding of plaques to each country winner. We also had the chance to see the interior of the Skyscanner office in Singapore. It was designed in a true modern traveler fashion - relaxed, bright, minimalist and fun where comfortable couches are in every nook and a tennis table is a few steps from the work stations. After the awarding ceremony, party and dinner soon followed at Group Theraphy Bar and Restaurant. Joseph and Rosemarie of Travel and Beyond were big winners and were awarded the overall Best Travel Blog in Asia Pacific. Much to our amusement, the Philippine contingent nailed some other key prizes -- Carla won an iPad mini and Ron of Fliptravels won a selfie stick. Pinoys all together at the Group Therapy Bar and Restaurant. Thanks Skyscanner! The following day, Kuya Allan and I boarded the earliest flight back to Manila via PAL, while Carla and Mica extended their stay. I brought home with me incredible experiences from that weekend trip in Singapore -- delightful meals, fun city tour, and meeting new friends. A part of me regretted not having stayed longer, but somehow I thought 48 hours of fun-filled experiences were enough to take away from the trip. That day, I traveled back to the Philippines much more inspired to blog and travel. Thank you to Skycanner for making the trip possible. You guys are the best! Thank you most especially to Harold and Janet for everything. Thank you, Kuya Allan, Carla and Mica. You guys were super fun to be with. Till next time. Thank you to everyone who voted for me. You were all in my thoughts while I was in Singapore. Thank you so much for the support! Congrats Everyone! Sino yung sa gitna nyo ni Carla dun sa group pic sa skyscanner office? hehe anu blog nya? The trip was unbelievably fascinating! I enjoyed reading the given article. However, the whole process of article writing is too complicated for me... Well.. Is custom essay writing that difficult? What can you tell me?